1.First Go to Junglee offer Page Here. 2.Fill all required details and select Mobile category.Upload at least one image of your mobile phone. 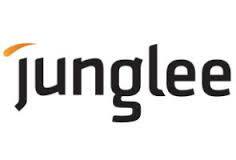 3.Sign in/Sign up your Junglee account.Make sure Put email which is registered with amazon . 4.Your ad will get live in 24 hours,if your ad follows junglee policies. 5.Amazon gift card automatically credited to your amazon account by 15th september,2015. 1.This offer is valid from 10th August 2015 to 15th September 2015.